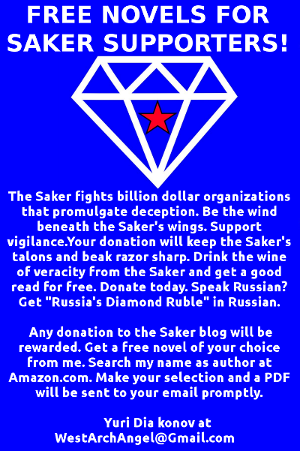 The ceasefire is progressing at full strength – at night the Ukie forces shelled Slavyansk and Semyonovka. In response, they got a massive shelling of Karachun and the Kramatorsk airfield (including with tanks) – [following which] they quickly calmed down. 10:54 – Once again, Ukies started to shell Slavyansk. In response, [our] Nona started working, shelling the ill-fated checkpoint of the Nazi bastards near the Fish Farm ([according to enemy classification,] CP No. 1, which we already took once). 11:17 – Kramatorsk was again under fire. The city lived peacefully until the hour that those on Karachun decided to blow the [water] filtration station to bits. How do you explain this? Again we have to live with explosions. 12:38 – Once again, a severe shelling of my neighbourhood. The “Lesnoy” market is burning. I have no strength [anymore]. Around half past nine, Ukies shelled the city with howitzers. Apartment buildings in the Artyom settlement and in the area of the railway terminal suffered direct hits. Also hit was the [local] market. There are victims among the civilian population. 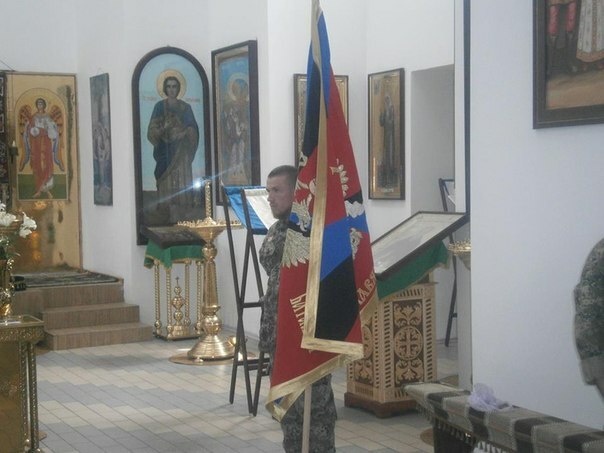 On June 29, at noon, a solemn consecration ceremony of the banner of the 1st Volunteer Battalion of Slavyansk took place in the Svyato-Voskresenskiy temple in the city of Slavyansk. At about 13:00, Ukie forces are continuing to shell Slavyansk. Once again, homes have been destroyed, there are victims among the civilian population. That’s the kind of ceasefire we have. A shell hit the 9th floor of a building on Olimpiyskaya street. Vera Kostenko, 53 years old, died. Her daughter and [granddaughter] hid in the bathroom and survived. Shells continued to explode at the [local] market, the only place where people could still find food to survive. While in Kiev they rally for continuation of the ATO [Anti-terrorist Operation], in Slavyansk we are counting corpses. The result of the Ukie army’s shelling of Slavyansk: 2 women and 1 man died; there are many wounded. At approximately 10:00 in the morning, the enemy conducted howitzer strikes in the area of Artyom, the railway terminal and the Central Market. As a result, 2 civilians died and several were wounded. At 13:00, the enemy is conducting mortar strikes against the Vostochniy settlement, Semyonovka and the outskirts of Seleznyovka. Multiple instances of destruction reported. Ukies are conducting a full-scale war. The shelling of the Vostochniy settlement and of Semyonovka with mortars and howitzers continues. Three “Acacias” have been delivered to [a Ukrainian] stronghold at Kombikormoviy … This is right next to the city. It means that we should be expecting semi-direct strikes. The night became relatively calm as it turned to morning. Once again, there were drones in the area of military activity. The enemy is relocating its detachments. We expect that fresh detachments of the Nazi bastards from Western provinces will arrive in Krasniy Liman on July 2nd. 10:30 (MSK) – intense howitzer and mortar shelling started from Karachun, directed against the Artyom district, near the railway terminal. Black clouds of smoke seen rising over Artyom and the “Lesnoy” market and in the vicinity. The Militia returned fire at Karachun, an artillery duel is ongoing. 12:20 (MSK) – As a result of the Ukie army’s artillery shelling of Slavyansk that lasted over an hour, a number of residential buildings were damaged: two buildings destroyed at 12 Novoslavyanskiy lane, near the “Express” store, in the Sobachevka district; people are still trapped beneath the rubble. We require help. Also, the market was hit – there are dead and wounded there. The Artyom district and the area of the railway terminal suffered severe damage; fires and destruction in the residential neighbourhoods reported. Slavyansk. The building down Olimpiyskaya street following artillery shelling from Karachun by the Ukrainian army. People died here. There are many wounded. A former serviceman of the 25th Dnepropetrovsk paratrooper brigade of the Ukrainian armed forces abandoned his battle position near Kramatorsk, where he was born and grew up, and left for Russia. He did not want to shoot his own countrymen. “My father told me that he was going to join the Militia, and he is a man of his word. I did not want to go fight against him. And against my countrymen. That is how it happened that I resigned and left” – Yaroslav told us. The first telephone calls from Russia he placed to his relative and friends. Kramatorsk continued to fight, even when mourning. “A former classmate of mine attended two funerals. A young woman died – she simply went out on the balcony to smoke, and a man, a passerby – he had no weapon, nothing!” – told us the former paratrooper. Yaroslav says that the Ukrainian army is finishing its last reserves. They have started on the Ukrainian rations, but even those are in short supply. 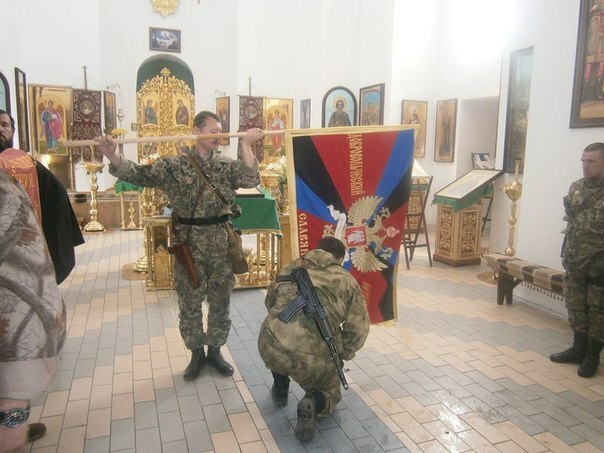 But what is most important, according to the former partrooper, is that the morale in the army is not ready for combat – the conscripted/mobilized Ukrainians simply do not want to fight. Yaroslav is sure of himself, though. He already took the most important step = he did not allow a war that is ripping apart the country also make him shoot his own father. 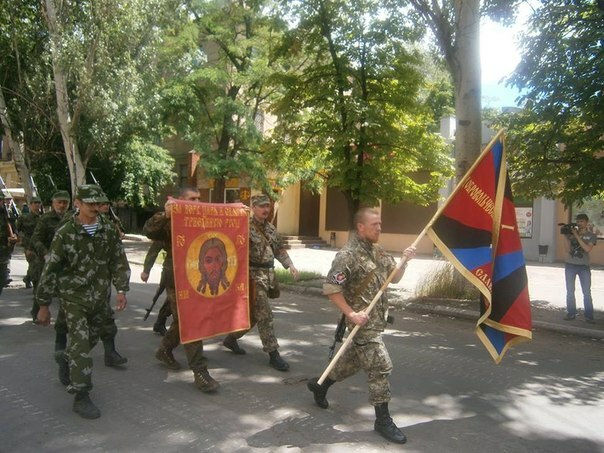 Members of the special detachment of the Donetsk People’s Republic’s army took control of the military garrison of [Ukrainian] missile defence forces, to wit, anti-aircraft regiment No. A-1402. In Kramatorsk, there is hunger due to nonpayment of pensions and wages. The biggest problem in Kramatorsk now is not the shelling, but hunger. And, to boot, people cannot leave the city. They hoped that payments of pensions and wages would be resumed, and stayed here. And now they stayed too long – they have nothing now. Buses are being organized, some have been evacuated, but people are afraid to travel without money. They have been promised they would be fed, but a man can’t believe [promises] blindly, and that’s why people have stayed here. Only about 1% of what Kramatorsk needs is delivered by means of humanitarian aid. Half of the city’s population, or about 100 thousand people, remain in the city; they need food. And all we get is a ton [of foodstuffs] a day. The Ukrainian army cut off all the humanitarian corridors three days ago, and if, before, vans with cereals would arrive from Russian, we have not received any in several days. Grandmothers come to us, they say that they have not eaten anything but cherries and mulberries in a week. People have not been paid for two months. It’s good that it’s summer now, not winter, or we would have another Leningrad on our hands. And in Slavyansk everything is worse, by an order of magnitude. Last night there was a skirmish near the airfield, then, from one until two in the morning, the city was shelled from the Meloviye Mountains. We have no information regarding victims. 14:10 (MSK) – Three civilians died in the course of the shelling of Slavyansk. A column of Ukie vehicles passed through Krasniy Liman down Pushkin street, heading toward the Central Regional Hospital. The column consisted of ten trucks with ammunition and one BTR-80 APC. 14:55 (MSK) – Artillery fire was opened against Malinovka from Karachun and Starobelyanka. In the area of the Belyanskiye Mountains thick black smoked could be observed. On the northern slope of Karachun there is also smoke; according to unconfirmed information an enemy artillery position was suppressed. 17:35 (MSK) – Fresh detachments of Right Sector and Nazi bastards arrived in Krasniy Liman, numbering no more than four units, to replace the old ones. They have been quartered at a high school. They’ll be taught [how to use them]. Never think your enemy is dumber than you are. Amreekans and their underlings react much faster to the situation, unfortunately, than many “strategists” prefer to think. Don’t forget, also, that, on the other side of this conflict, there are yesterday’s Russians fighting, even if now they are the Nazi homeless. In other words, these are potentially talented and warlike people, provided they have the necessary motivation. I will say more: dismissive attitude [toward the enemy] has already seriously harmed us and continues to harm us to this day. These notions created, at a certain stage, a “beatific confidence” that the Militia does not even need any assistance to overcome the adversary, that everything will somehow work out on its own. As a result, we are sitting inside besieged Slavyansk, unable to break through the encirclement; the enemy is the doorstep to Lugansk and Donetsk, Mariupol has been been forsaken … And our prospects are from rainbow-bright. Detonation of ammunition occurring at a military base in the Bosse district of Donetsk. The base is on fire. The location of the accident has been blocked [to traffic]. Ammunition stores are exploding on the territory of a [Ukrainian] military base in Donetsk. Earlier, the base was abandoned by Ukrainian forces following a siege by the Militia. Two of the militiamen are in critical condition (poisoning with phosphorus fumes) and have been sent to Donetsk. 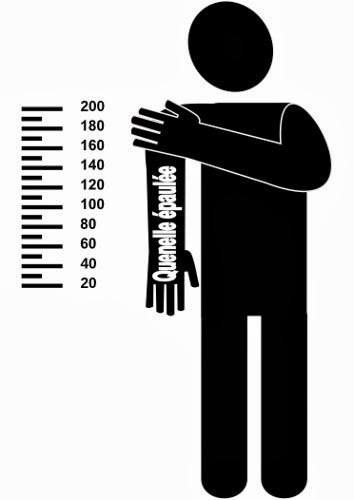 One of them is very critical. Right now (it is half past ten [local time]) the shelling of Slavkurort continues. Howitzers of 240mm calibre have been used. There are several several centres of severe fires. [Foreign mercenaries] – we have not caught any yet. Presumably, there are some among the dead. But we have not detained any. Because we are defendant, not attacking, we have very few POWs. Ammunition depots are exploding in Donetsk, in the Bosse settlement. For an hour and a half I observed, from different angles, the detonation of the Ministry of Internal Affairs depots. In Soviet times, it used to be a military-political academy. Across the road, there is a military lyceum. Now everything is exploding. 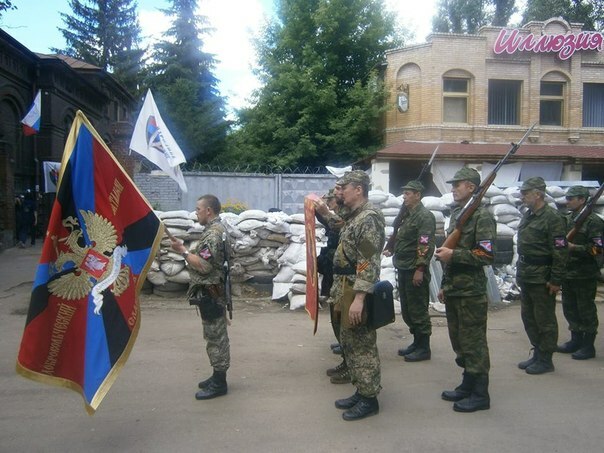 Everyone around – I am talking about the militiamen of the “Oplot” unit – are worried about the people. But also about the dogs. Next to it, separated by a fence, is a kennel. The poor canines probably have lost their minds because of the noise of explosions. The cause of what is happening is the rigging of the depots. It is clear that a Ministry of Internal Affairs regiment was not supposed to have the quantity of explosives that is now exploding. Obviously, they delivered them over time, concentrating them in one place, under guard. Now, with the takeover by the Militia imminent, they detonated the charges. As I was watching the explosions, I remembered my [book,] “The Ukrainian Front.” It has a plotline about this military base. Let’s hope I am no prohphet. In Slavyansk, the Junta is using chemical weapons. Two militiamen were heavily poisoned after a shell exploded. They were sent to Donetsk. Tomorrow I will ask the medics about the nature of the poisoning. A vehicle used by LifeNews journalists was fired at with a grenade launcher near a military base. The journalists were not in the vehicle at the time and were not harmed. As a consequence of shooting at journalists and soldiers’ mothers near a military base, there is one dead and two wounded. Video operator of “Channel One,” Anatoliy Glyan, died of a wound to his stomach after being shot at by the Ukrainian military. Note: Anatoliy Glyan, a video operator with Russian “Channel One,” came in a bus with soldier’s mothers who went to secure the release of their sons from a Ukrainian military base. After the negotiations were concluded, Anatoliy remained outside smoking when, all of a sudden, the shooting started. 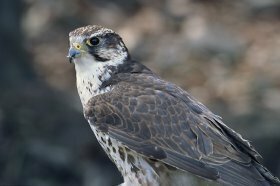 Anatoliy received a gunshot wound to his stomach. He died in the hospital, remaining conscious throughout. His last question was about the fate of his camera. The driver of the vehicle hired by LifeNews journalists was also killed. 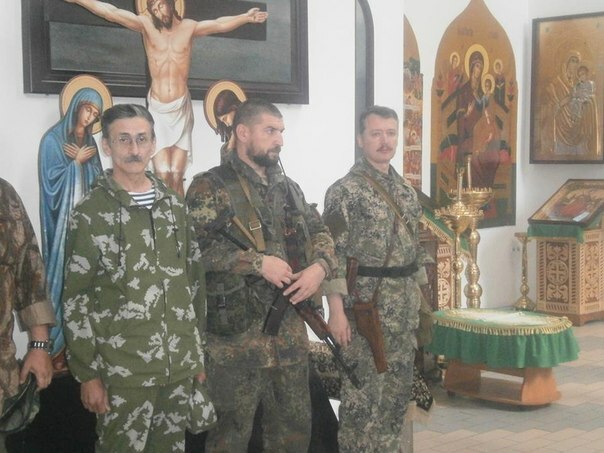 “The shelling started at 10:00 in the morning, during the liturgy. One if the shells hit a bread kiosk “Palyanitsa,” located several meters from the temple. It was blown to bits, everything inside burned up. The store attendant managed to survive because she ran after she heard the first volley. At that time, almost a thousand people were located on the territory of the Cathedral. Inside the temple there were many believers who came for the service. Oustide, in the yard, gathered those who were waiting for humanitarian aid to be distributed. After the shelling started, everyone rushed inside the temple. The Catherdral was filled with people to overflowing. People stood on their knees, praying to God with tears in their eyes. Several stained glass panels fell from the cupola section and shattered. The volleys lasted for half an hour. Also hit were the district of Artyom and the Central Market. After the shelling stopped, we heard [the Militia] return fire from the city. They fired several volleys. 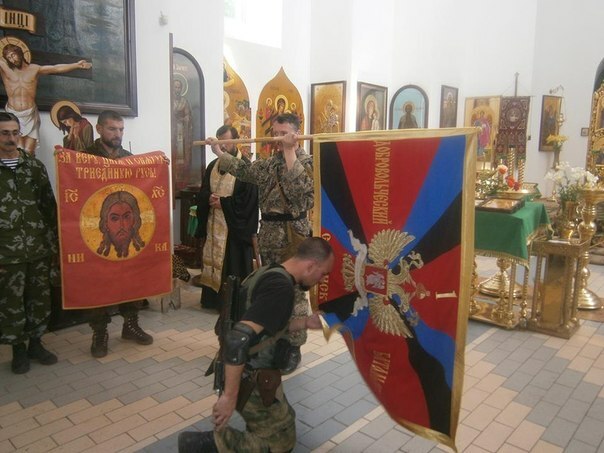 But the shelling by [Ukrainian military] was directed against us [in the Cathedral]. We did not stop the service when the shelling started. The choir sang with tears in their eyes. People stood on their knees and prayed, also crying. And right when the service ended, the shelling also stopped. After that we went out and started distributing humanitarian aid. I asked people not to stand outside for long, because I noticed that large crowds attract artillery fire. Look, they shoot at places where they are many people; today it was our temple, the Central Market, and in the Artyom district there is also the “Lesnoy” market – and that’s exactly where the shells hit today. And they also hit a nine-storey residence – people died, including, I think, a child. Not long ago, Dmitry Steshin wrote about Slavyansk: “This is my second motherland.” I can only imagine the longing Steshin feels for his motherland from Moscow, where he was categorically recalled to by the editorial office. It’s easier for me – I am much closer, and the only reason for my absence [from Slavyansk] was a short-term assignment (necessitated by the material needs of the Militia). So my own longing for my motherland will be brief. It has been twice in one month now that I have travelled outside Slavyansk, and every time I wait, longingly and impatiently, to return home. Do I miss my native St. Petersburg? For the first time in my life, I do not. My fate has bound me to Slavyansk forever. It may be that there will never again be a place in my life that I would want to return to, again and again, like I want to return to Slavyansk. 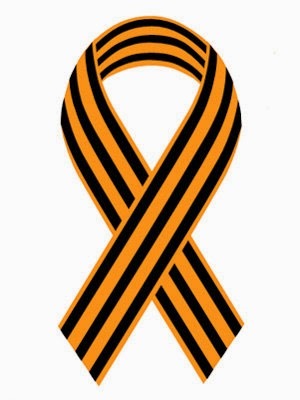 After Slavyansk we will never be the same again. Russians will never be the same. Russia will never be the same. We will remain in Slavyansk forever, dead or alive. Victorious or defeated. With Novorossiya or without.